Service Times: 5:30 p.m. & 7:00 p.m. Location: The Chapel. Enter through Door 1. 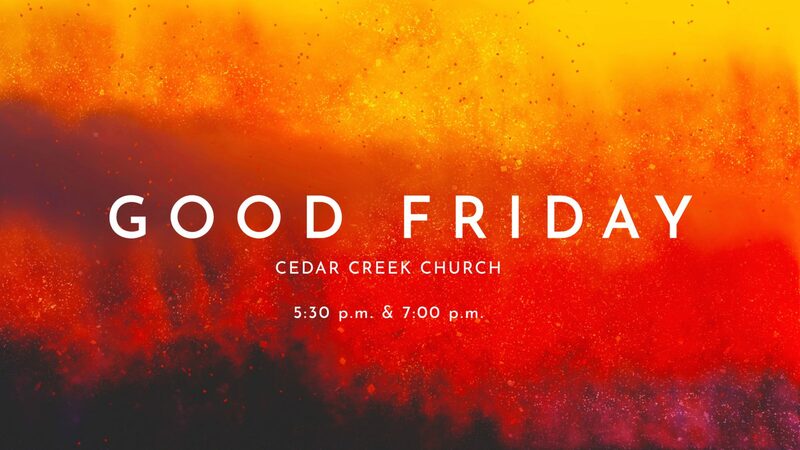 Details: Join us for one of our two identical, experiential worship services on Good Friday. Before the tomb was empty, the cross was occupied. Through this service of songs, Scripture, prayer, and experiences, we will examine our hearts as we look toward Resurrection Sunday!